When I was in school, the most sophisticated forms of technology I ever encountered in the classroom were overhead projectors and Scantrons. To that extent, the only times I ever felt like technology was turning against me was when a light bulb burned out or a machine misread an answer bubble. But that is certainly not the world that our students live in today. Technologies can now empower educators and transform education, and the use of these services in learning opens up countless opportunities for students – from personalized learning to learning anytime, anywhere. With the advent of the cloud, technology has never been more powerful or more personal. But the cloud also opens up a range of potential issues, from government access to data, to vendor access to and use of data. And not just for you – for your sons and daughters, too. That’s why Microsoft, along with 13 other leading education technology companies, was a charter signatory to the “K-12 School Service Provider Pledge to Safeguard Student Privacy,” put forth by U.-based Future of Privacy Forum and the Software & Information Industry Association (another 27 companies have since signed on to the pledge). The pledge makes sure school service providers only collect data for educational purposes and not for targeting advertising or developing profiles of students. While the pledge is US driven, we know from global privacy surveys that the concerns it was written to address transcend borders and so we believe that its principles should apply no matter the country. For Microsoft, this pledge is about creating transparency and accountability on practices that we have already implemented into our education products. For example, Office 365 was the first major cloud productivity service that made commitments not to use student data for advertising purposes – no caveats, loopholes or reservations. 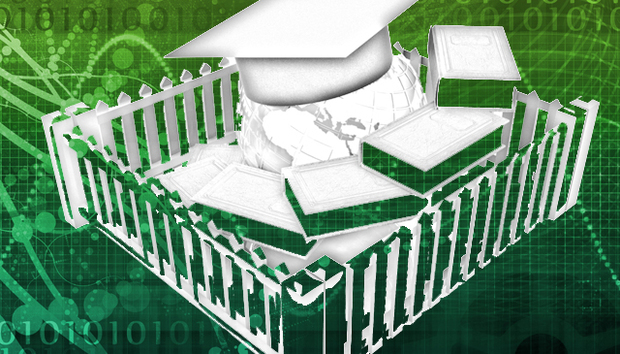 From a big picture perspective, however, the pledge seeks to gain greater consensus among all education technology service providers, applying more pressure for uniform treatment of student data by everyone in the industry. And why is industry consensus so important? Because there is so much promise in education for the use of new digital technologies – and we want to ensure that promise is realized. It’s clear to us that failure to build trust among parents, teachers and school administrators increases the risk that new, valuable and safe technologies will be blocked as part of a larger backlash related to valid privacy concerns. Parents and school officials around the world are becoming increasingly aware of the privacy implications of third party involvement in school technology systems, and legislators and regulators are beginning to consider new laws and regulations that touch on the issue of student privacy. We hope the pledge can operate as a north star that helps guide everyone toward an outcome that allows us to reap the benefits of new technologies in the classroom, but respects and protects the privacy rights of our children. At Microsoft, we are guided by the principle that student safety and privacy rights must come first. We understand that we need to get this right – not just Microsoft, but the industry as a whole. And that’s why we’re proud to be involved in privacy awareness activities such as the pledge to protect student privacy, looking out for the little guy – literally.